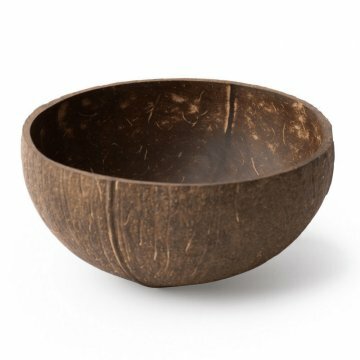 Natural Coconut Bowls are environmentally friendly bowls that you will want to have in your kitchen. Versatile, they can be used for potatoes, granola, salads. Coconut Bowls are environmentally friendly bowls that you will want to have in your kitchen. Very versatile, they can be used for potatoes, granola, salads ... Everything will have a more appealing and natural look. These coconut bowls are handmade, from real coconuts recovered after being discarded as waste. Each coconut is cut, sanded, treated and cleaned. Each bowl has its own shape, size, color and markings. Each coconut bowl is unique, just like you!